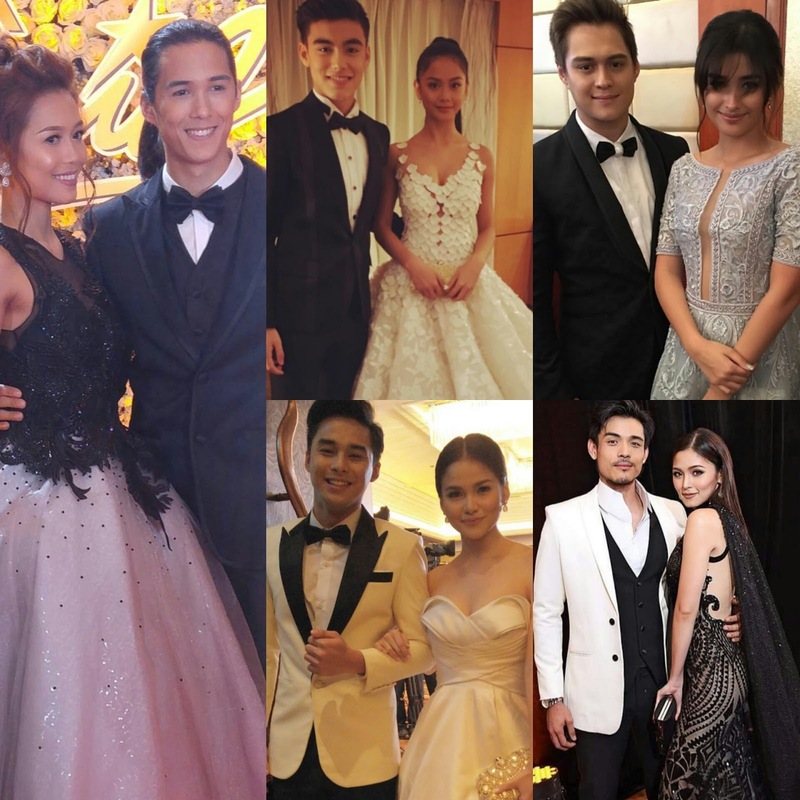 Home FASHION AND MODELING LOVETEAMS STAR MAGIC BALL TOMIHO Find out who they voted as the 10 Best-Looking Pairs at Star Magic Ball 2016! 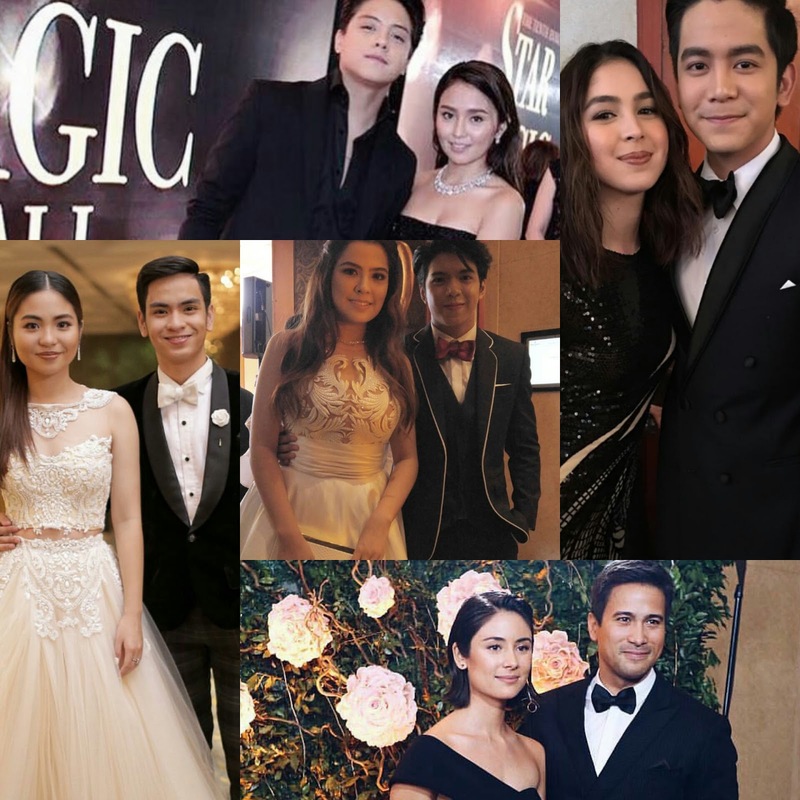 Find out who they voted as the 10 Best-Looking Pairs at Star Magic Ball 2016! Thank you to our dear readers for helping us choose the Top 10 Best-Looking Pairs at the Star Magic Ball 2016 last Saturday, and now we're ready to reveal them. After a day of voting on Facebook and in our online poll, the loveteam of Tommy Esguerra and Miho Nishida, who made their Star Magic Ball debut, emerged as the #1 Best-Looking Pair, getting total votes 7 times higher than the 2nd-ranked pair, BaiLona, who just like last year is again the runner-up this 2016. 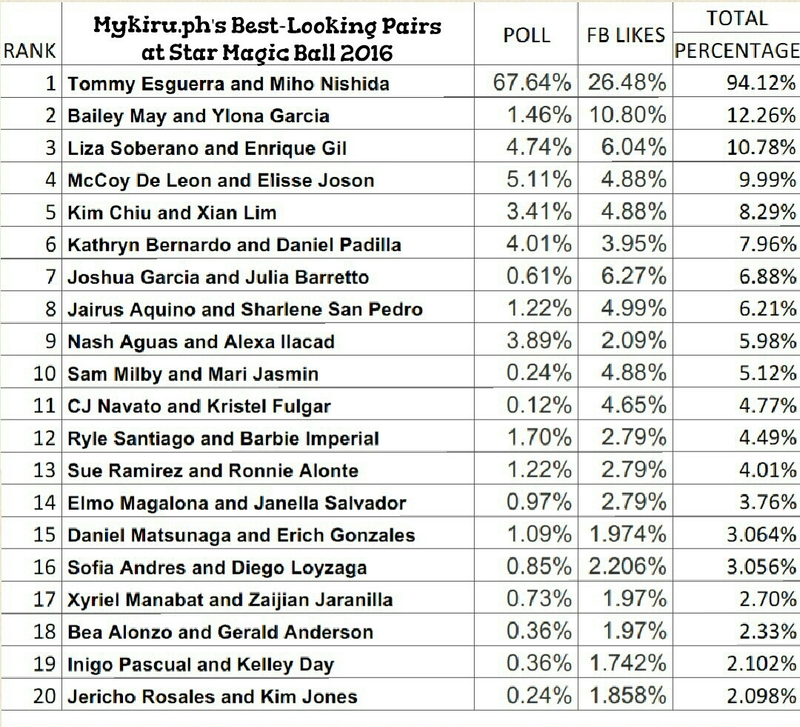 In 3rd was LizQuen, followed by newbie loveteam McLisse in 4th. 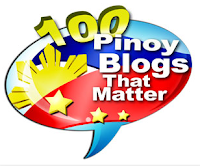 Last year's winner, KimXi, meanwhile had to settle for 5th. 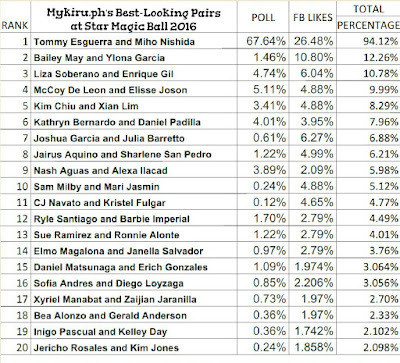 Here's the full results of our Star Magic Ball poll this year.